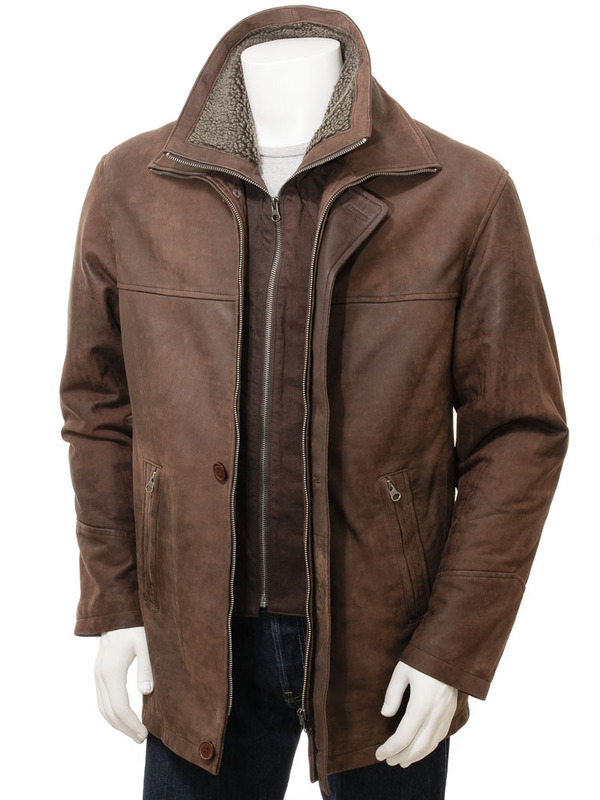 A stunning leather coat with detachable, faux fur collar lining. 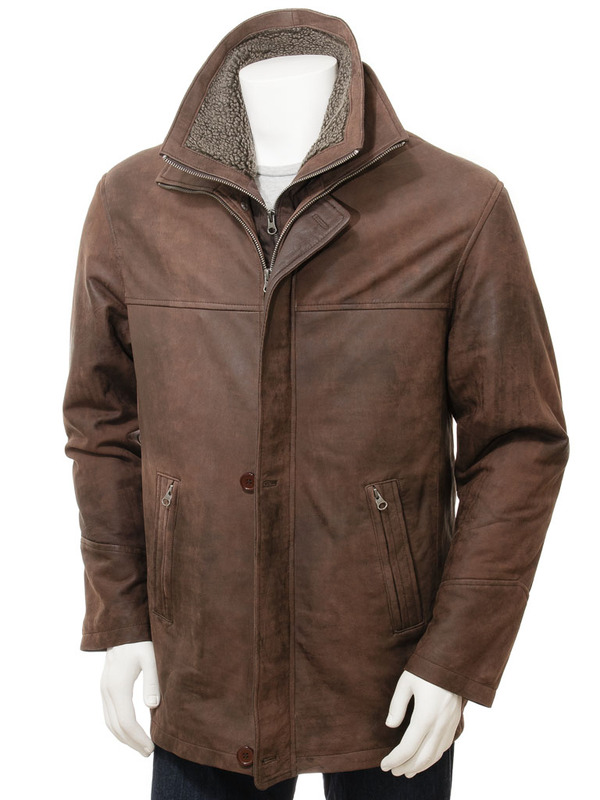 This jacket is all about versatility and luxury. 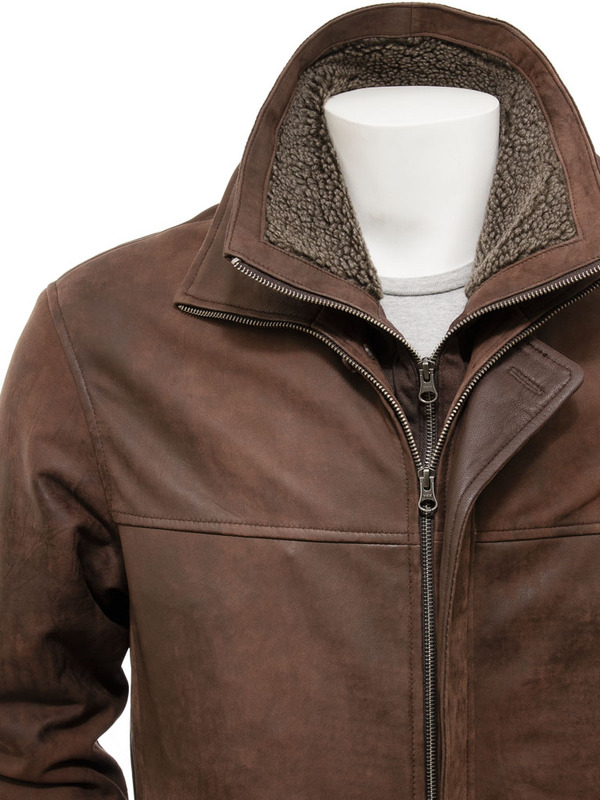 Grade A sheep leather is lightly milled to a soft, matte finish then crafted into a classic hip length style. 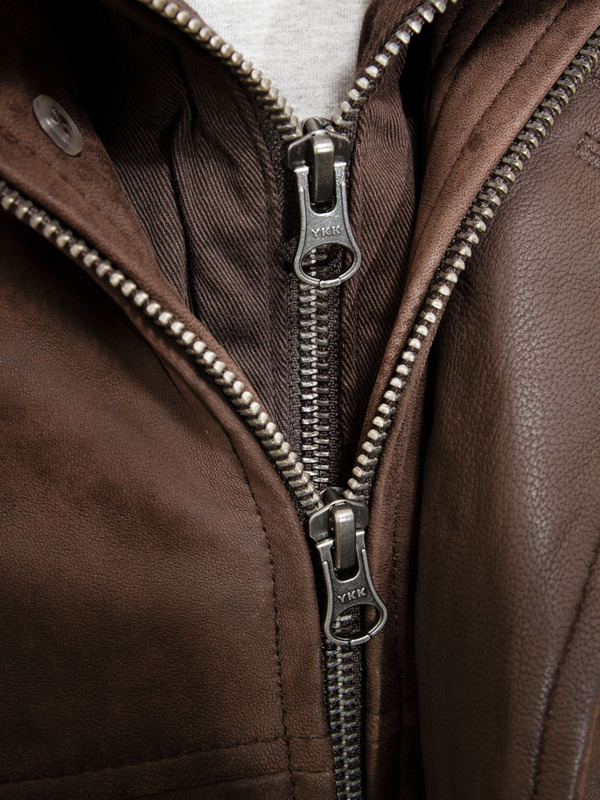 A full YKK zip front fastens all the way to the chin featuring a button fly front for addition wind protection. For extra comfort and a super-lux upgrade you can attach the borg fleece collar liner which adds an additional layer to the zip front then up around the inside collar. 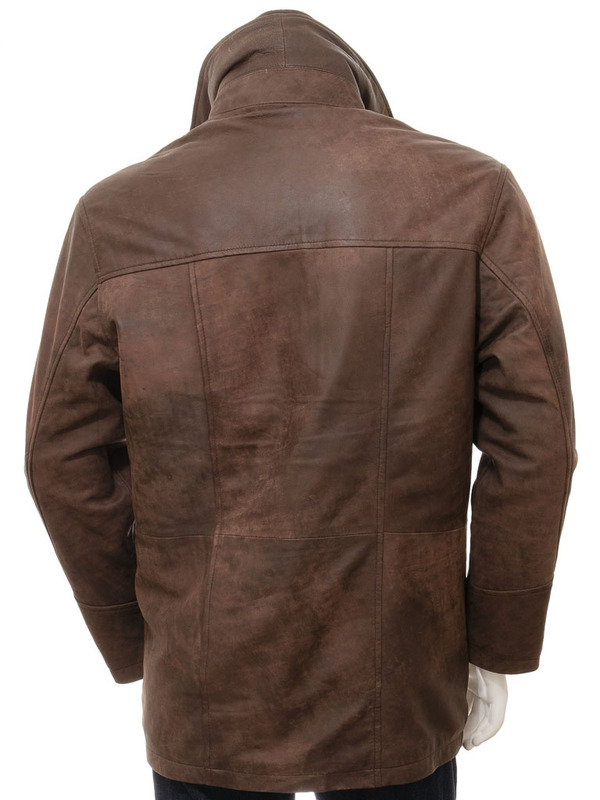 It basically gives the look of a high fur jacket worn beneath the leather coat but without any of the bulk or restriction to movement. There are four pockets at the hip with two of them zipped whilst. on the inside, you will find a quilt lined interior with three more pockets, one of which is zipped.